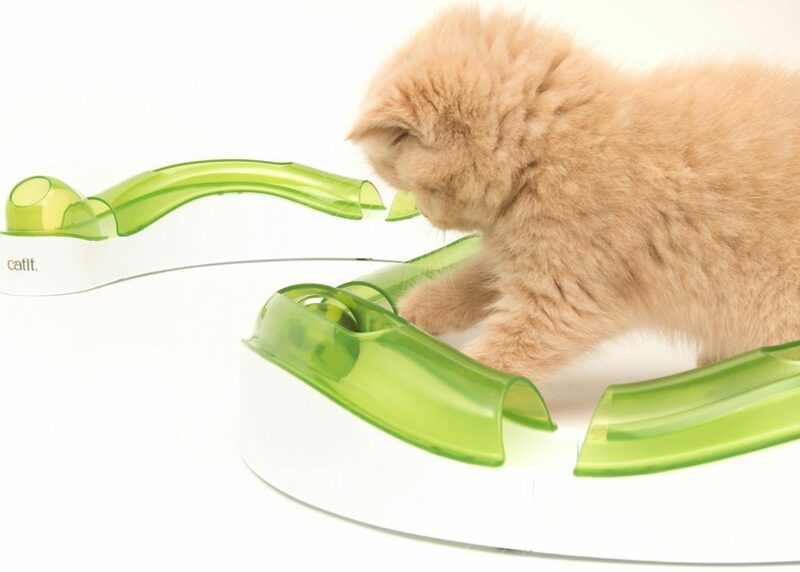 Catit who are pretty well known for some innovative interactive toy design for cats have recently revamped their play circuits. 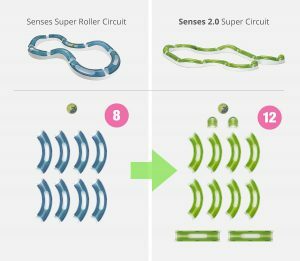 Enter the brand new CatIt Senses 2.0 Super Circuit which is billed as 24 inches longer than the old Super Roller Circuit. 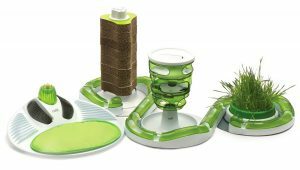 We have reviewed the Catit Senses Play Circuit previously and so I was excited to see what was new in the updated versions. With a new kitten onboard currently I am looking for multiple toys that she and Dyson would enjoy. And honestly, I have found that track toys such as these give endless play sessions. The Catit Senses range of circuits are interlockable pieces of track complete with tunnels. These are slotted together in a range of shapes from snake shapes through to figures of eight. A multi colored hard ball is then placed in the track and your cat can hit it and make it roll around the track. 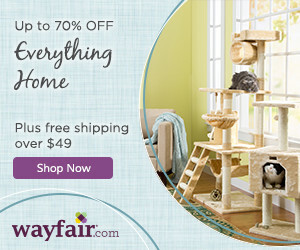 Due to the design of the circuits, the ball runs very fast and gives hours of fun for a cat. The larger circuits such as the speed circuit also came with a flashing ball for added fun. As soon as your cat hit the ball it would begin to run around the circuit whilst flashing. They also work with some of other other items in the Catit range to make an activity center. So What is New With the 2.0 Circuit Range? There are three new circuits in the Catit Senses 2.0 range. All of which are upgrades to the previous circuits. On initial viewing the main change is that the tunnels are now a cool green color instead of the original blue. However, the main change comes in the length of the tracks. From our previous review you can see that the original circuit had four curved pieces of track. There were also two end pieces (incase you wanted a wavy track and not a full circuit) and one ball. The new 2.0 play circuit is ten inches longer and now has an extra straight piece of track added. This means that there are now over 100 different combinations of track shapes you can make with one box. Both circuits were flat to the ground. This is the upgrade for the older Speed Circuit. This was different to the play circuit as it was not flat to the ground but instead had elevated areas. This meant that the ball travelled at different speeds around the track and also gave more variety for your cat. The new version now has an extra straight piece of track added so that the track size has increased by 10 inches. This is the upgrade to the version 1 super roller circuit and this version has had a major change. Whereas the super roller circuit had eight curved pieces which were both flat and raised as well as the ball. The new Catit 2.0 Super Circuit now has twelve pieces altogether. These include the original eight curved pieces but now you also get two straight pieces and two end pieces. This means that unlike the old super roller circuit you can now make straighter or wavy circuits and do not have to make an enclosed circuit. This also makes the super circuit a full 24 inches longer than the old version. The senses circuit range still uses the original method of interlocking the white tracks together and then locking them in place. After you create the shape that you want you pop the ball on the track and then slot the green tunnels into slots on the top of the track sides. Its very easy to get the pieces together and you can now make even more shapes than before. There are over 100 different shapes according to the box and some of the different diagrams they show. I have not yet had a chance to try out all these shapes. This ability to change shapes though is great from a cat point of view. Cats do get bored with their toys after a while and a toy that you can alter into different shapes will keep their minds more active and will allow them to think more. This should increase the longevity of the toy. Apart from being longer in length the added straight piece of track has allowed the circuits to fit more comfortably around the other pieces of the Catit range. For example, the massage center and food tree – these all can be integrated with the super circuit and the other 2.o circuits to make a large cat activity center. The longer length and extra pieces does also mean different combinations of circuit can now be created. However, the best thing about the 2.0 circuits are that they are completely backwards compatible with the older circuit. So if you had one of the blue play circuits don’t throw this out instead mix up the pieces with your new 2.0 circuit to create even more variety of tracks. Again as with the older blue circuits you can also buy multiple boxes and then add them all together to make monster sized tracks. Did my cats play with this? My cat loved the older circuit and was not fazed to have it now included in a rather large track. She especially liked the new waves in the track and kept trying to bat balls up the hill areas. My kitten immediately bounded into play as well and now because the track is so much bigger the two of them have even more space to play together. You will often find that one sits in one area of the track and the other cat at the other end. They will then bat the ball back and forth so it rarely does a full circuit with the two of them playing. My kitten has managed to get a tunnel off and then hit that all over the lounge. But it was easy enough for me to snap back on – I might not have snapped it on fully in the first place. Our initial review of the Play Circuit scored a very respectable 8.5 and proved popular with my cat. Now with the arrival of the new kitten this new version has proven even more popular and has the advantage of using up all my old pieces. As before the tunnel pieces can come off but are simple to re-attach. Overall I think this is a great upgrade. The longer tracks especially, and the ability to have the tracks at different heights to form a wave. I think that this toy now has greater longevity even though my cat continued to play with the old version. Now with the number of different combinations of track I can make I can also be pretty creative. I am thinking of a track that will now run under and around my dining table – this might be a fun challenge. So if you want to grab a box of the Catit Senses 2.0 Super Circuit then click here to get a box (or two) from Amazon. 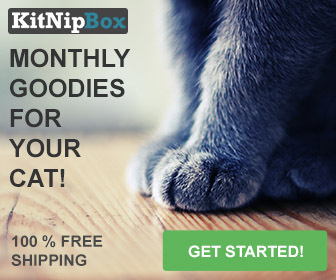 Great post I will definalty look into buying one of these for my cat. I was going to get her one of those cat toys with the holes on the sides and a little mouse in the middles. But I like this better it’s bigger and seems more fun. Thank you I will share your post and bookmark your site. Hi thanks for the comment. This is definitely a good buy. Though you might find that you have as much fun building new circuits than the cats have playing with them. 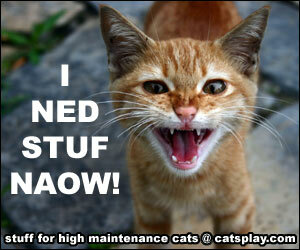 As a cat lover and owner of 2 cats I am always looking for ways to give them a great life. This seems like a great addition to my cat’s playground. 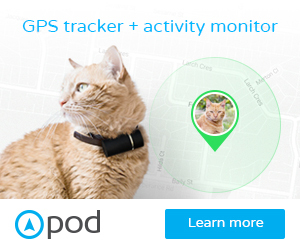 Can you recommend this for a cat that’s around 6 months old? Also building circuits looks like a lot of fun for myself too! I am currently using this for a crazy 15 week old kitten and my 6 year old cat. And both play and enjoy it – currently they bash the ball back and forth to each other (note probably not a good idea to leave it out at 3am in the morning). So it is perfectly fine for a 6 month old. 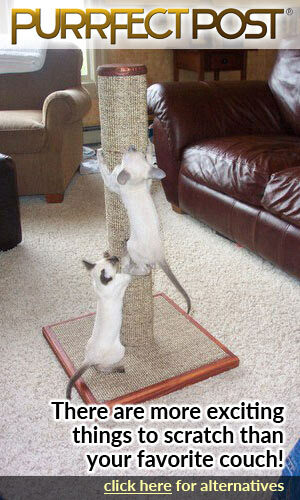 What a great way to keep cats entertained! Now why can’t they come up with something like this for dogs as well? Seems simple to put together and looks like you can put it together in various different ways. My son has a cat, who would love this toy. Sounds like a great gift. Do you find this toy to be pretty durable and long lasting? Well this new version we have only just received but it is made from the same material as our previous catit senses play circuit and that has now been going strong for about 6 years. My cat is also a bit of a large and heavy cat and has not broken any part of it.